"Red earth sugarcane" in Polynesian languague is one of the most beautiful cultivars of this useful crop. 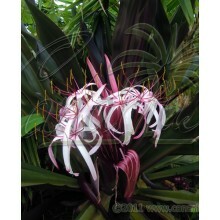 Stems and leaves grow in a in a wide range of hues, from purple to black, coated with a white shiny wax, increasing the black-and-white contrast. 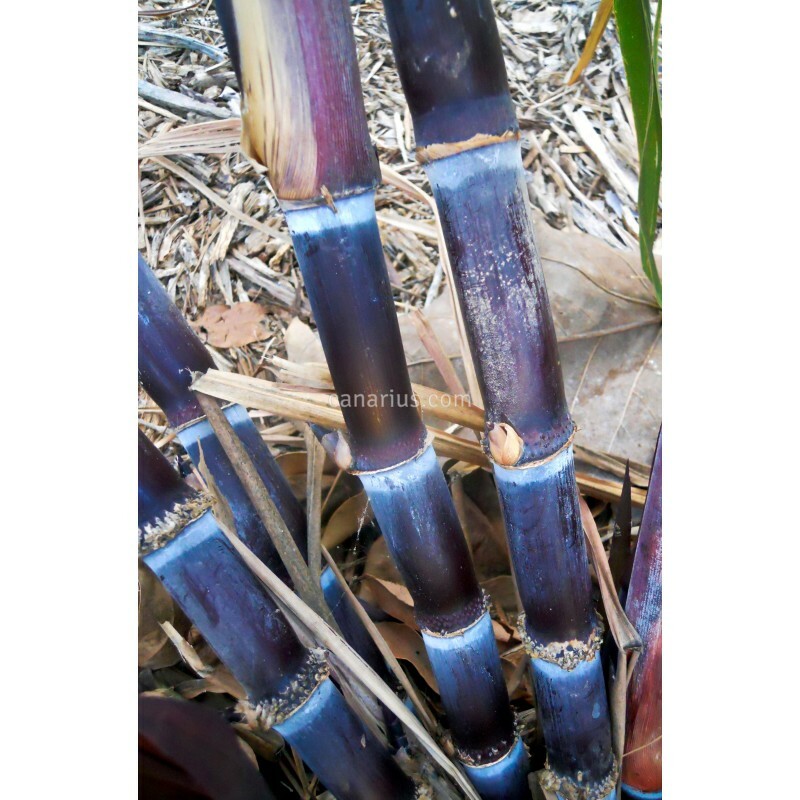 This black sugar cane is one of the most beautiful cultivars of this useful crop. 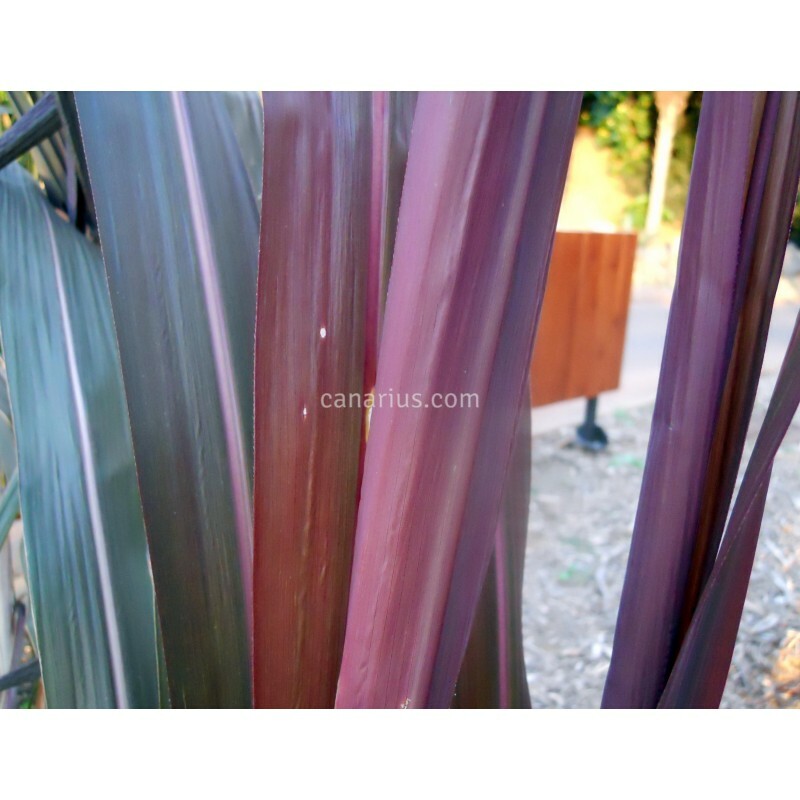 Stems and leaves grow in a in a wide range of hues, from purple to black, varying as they age. The stems are also coated with a white shiny wax, increasing the black-and-white contrast. 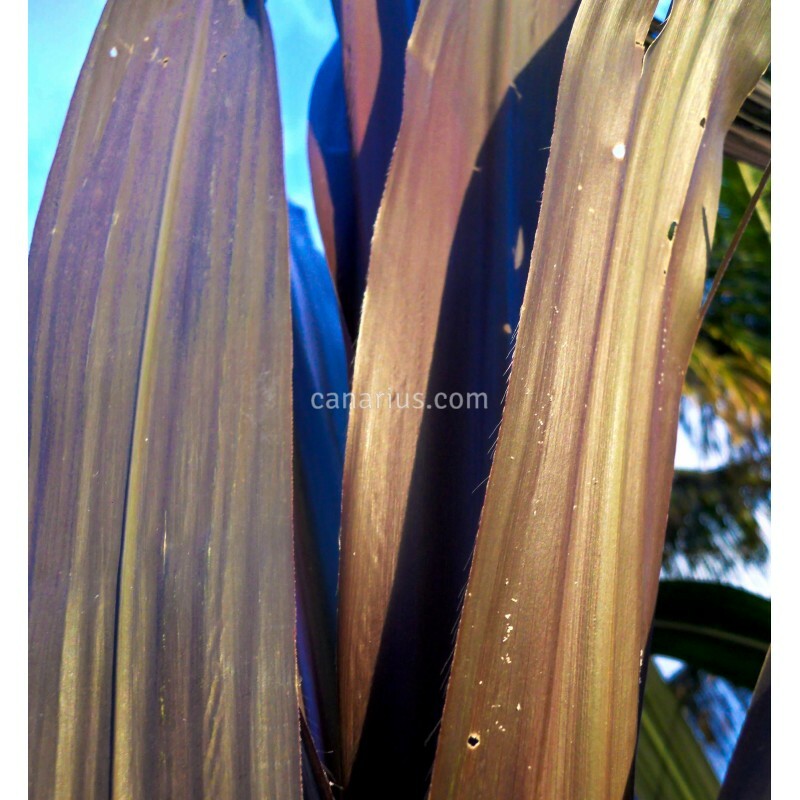 More than 100 traditional cultivars of sugar cane existed in ancient Hawaii, but this black cultivar was one of the three types of sugarcanes used in traditional Hawaiian medicine. Ko Honua Ula means "red earth sugarcane" in Polynesian languague. The alternate name Kō Niho Puhi means “eel’s tooth” sugarcane, owing to the sharp points of the auxiliary buds. 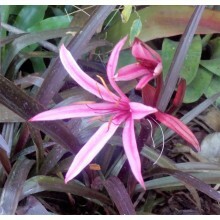 In this case Canarius offers one rooted plant, grown in a 14-16 cm pot. If the rooted plant is not available, we will ship a pack of two super-thick cuttings ready to sprout. Cuttings are the best way to reproduce sugar cane, because they root easily and will give a plant exactly like the original mother plant. Plant our cuttings in a sandy, draining soil. Keep moist and warm above 17 C for rooting. 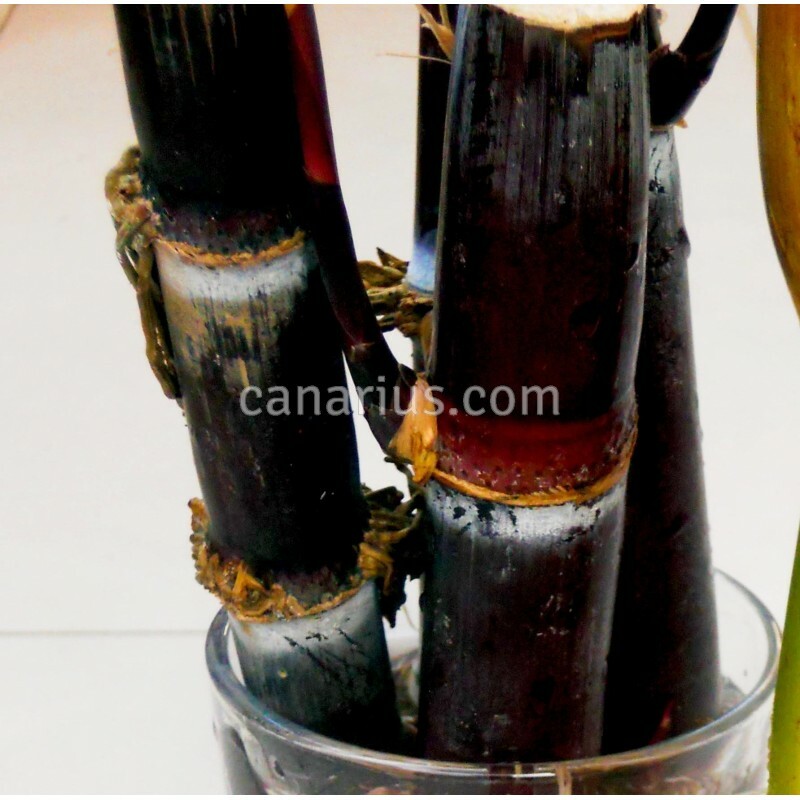 The best rooting temperature is 20-30 C. Visit our blog and read how to root sugarcane cuttings.